Posted on April 21, 2013 . No comment. 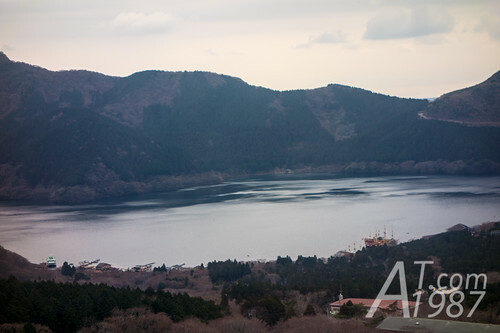 After the pirate ship brought us from Hakonemachi-ko through Lakke Ashi. 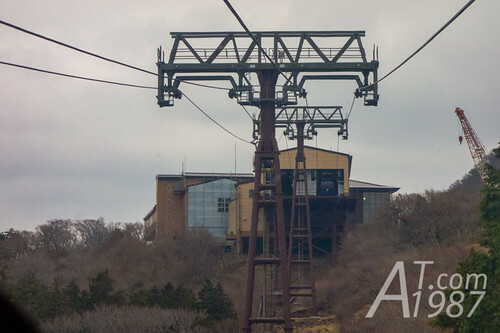 It sent us at Togendai-ko where we took Hakone Ropeway to Owakudani valley. 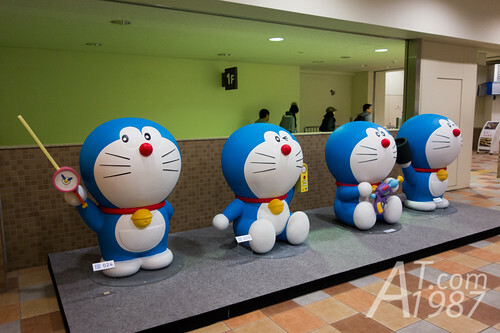 There’re many Doraemon models here. Blue cat fan will love them for sure. To go to Owakudani. 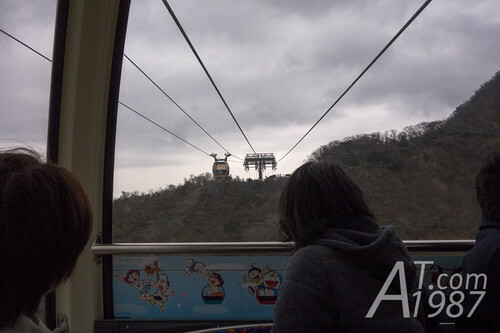 We need to ride Hakone Ropeway which is the gondola lift to it. 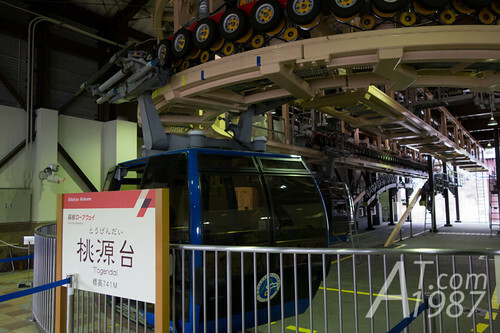 The gondola station is in the same building as the pier. So it’s no need to travel outside which the weather’s almost zero degree on that day. 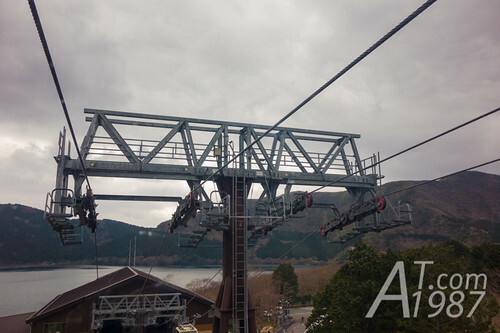 The interested fact of Hakone Ropeway is it received official Guinness World Record for “Busiest gondola lift” on 31 Mar 2009. Its record also defeated its old record on 2008. 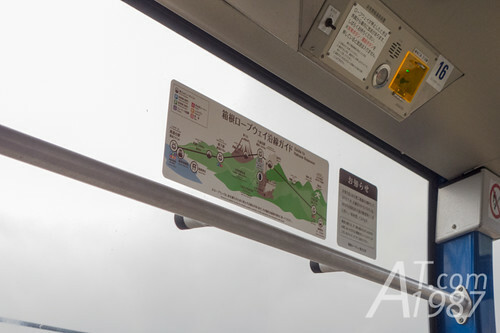 The large windows for the best view of scenery. 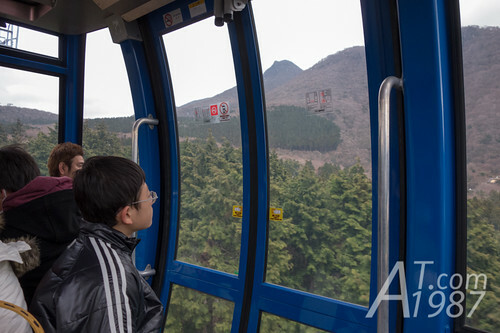 During in gondola, the announcer tell about Hakone Ropeway story and the point that we can see Mount Fuji. However due to bad weather. We can’t see it. We didn’t see much when look back to Lake Ahsi due to the fog. 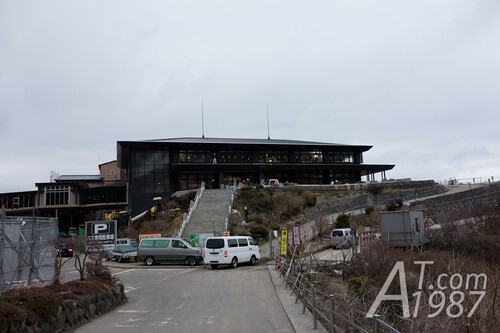 Here we reached Owakudani station. 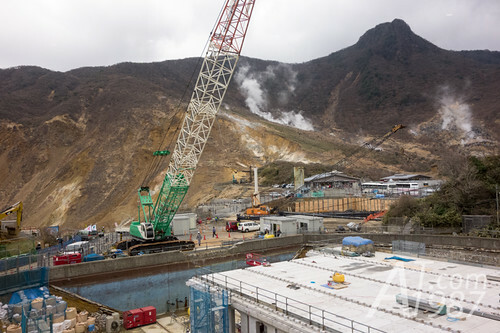 There’s the construction site here at the time we visited. Although the place still opens for visit but it blocks the beautiful view. 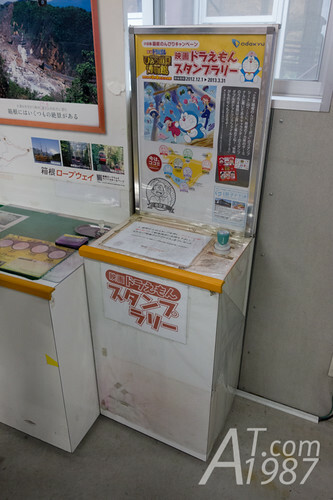 Doraemon Stamp Rally point is also here but I don’t see any Doraemon model. Where is he ? Now let’s climb to the top. I forgot to take the photo of souvenir stores and restaurant here. It’s too cold that time so I don’t want to take my hands out from my coat. 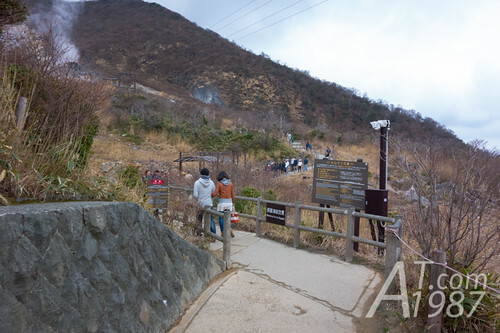 The path to the top is quite steep, high pressure and very cold. I don’t wonder why the black jewel egg sold here will extend your live to 7 years. Going to the top is like we do the workout. Finally we are the level that has the shop where sell the black jewel eggs. Don’t forget to take some photos with the sign here. 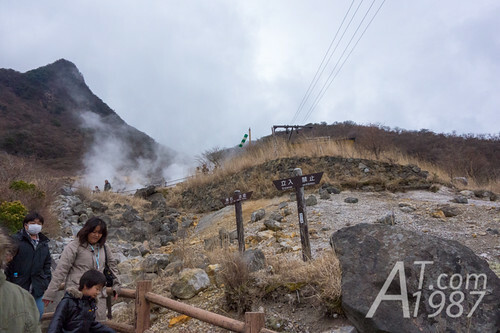 This is the hot spring that used for boiling eggs. It’s on the side of the shop. The stores down there also sold them with the better package for those who can’t climb to here. However I prefer buying from here for authentic feel. 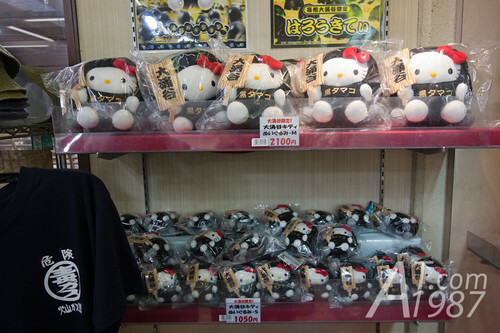 There are the Owakudani version of Helly Kitty items sold here. Also the Hakone version EVANGELION and One Peace items. 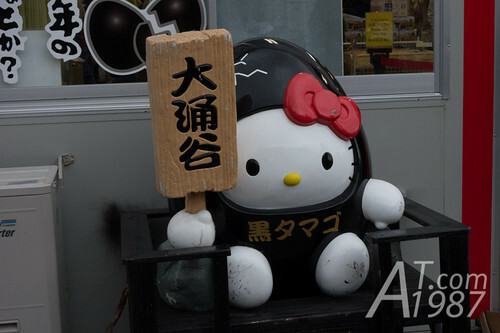 For Hello Kitty fan don’t miss the chance to take a photo with her in Black Jewel Egg costume. At the time I visited, she was moved from the front of souvenir shop to the black jewel egg trailer instead. I think it’s temporarily. 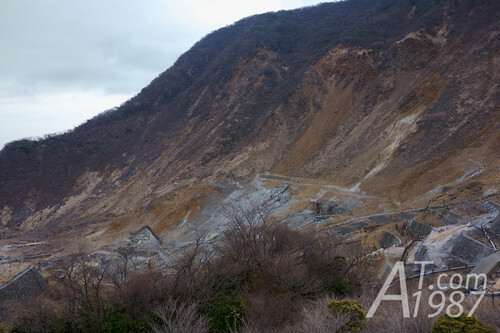 Took the photo of sulfur mine. 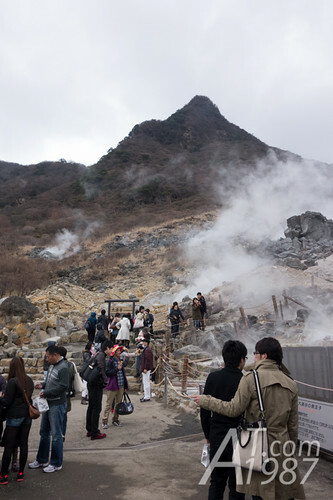 I read the comment from someone a long time ago that other than the good view and hot springs. 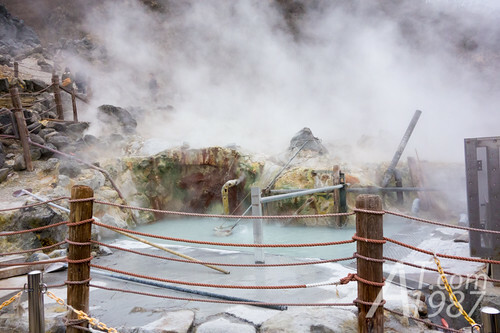 There aren’t any good features that make Owakudani different from other sightseeing place so they make the Black Jewel Egg by boiling the eggs in hot springs. Make the unique feature for it. 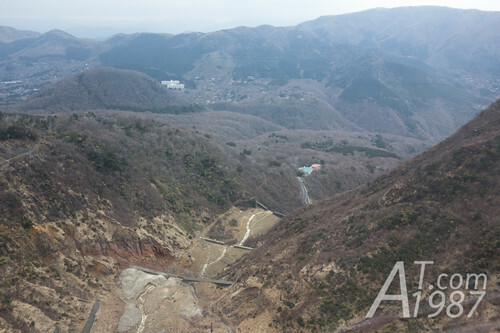 The we went down from the valley by gondola lift. 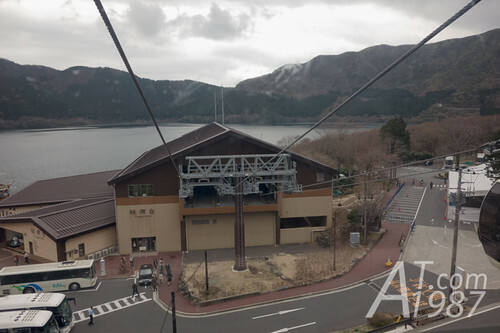 At this point is the highest point of Hakone Ropeway. The gondola traveled too slow so we think it stopped. 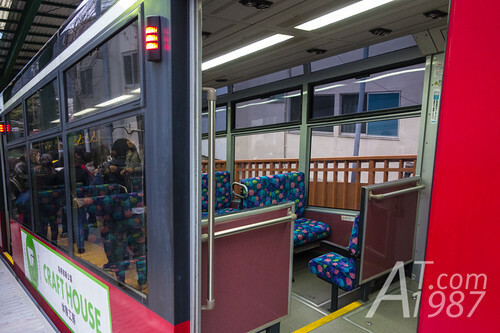 The gondola car is decorated with Fujiko F. Fujio characters. 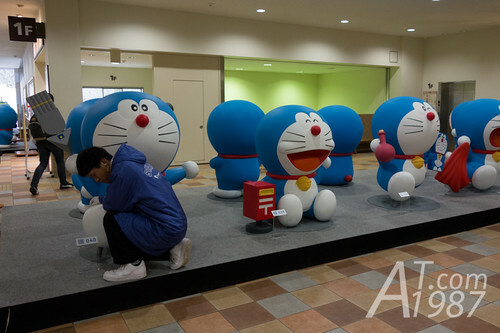 Look like they promote the latest Doraemon movie and its author’s museum. 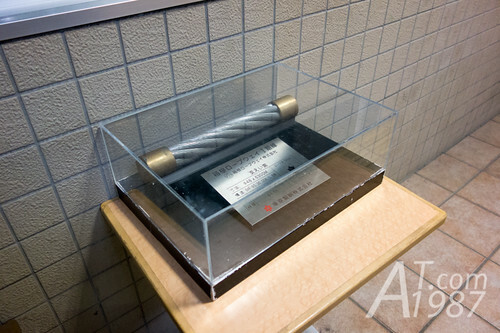 This is the cable used in Hakone Ropeway. 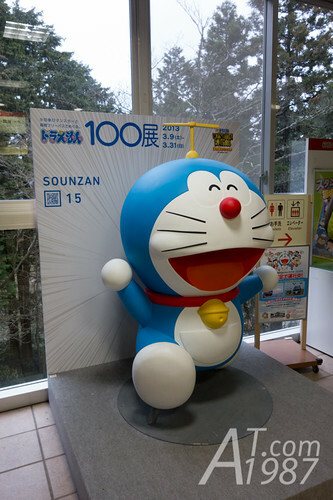 It’s in front of bullwheels room at Sounzan station. Doraemon still greet us here. 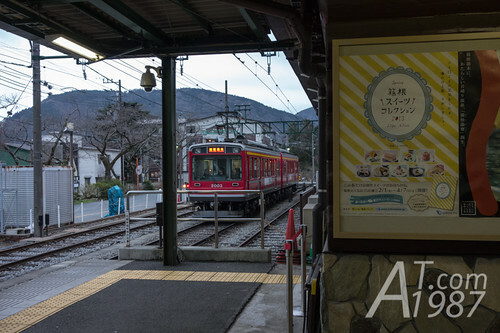 We took Hakone Tozan Cable Car down to Gora station. The design inside is quite old. 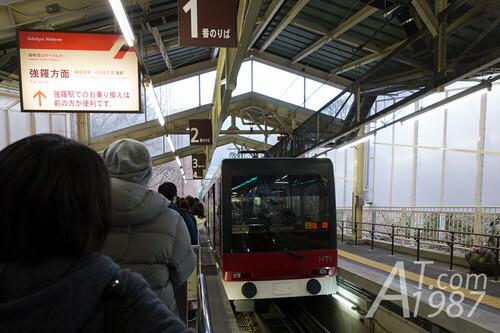 Got off the cable car then take the Hakone Tozan Train back to the hotel. 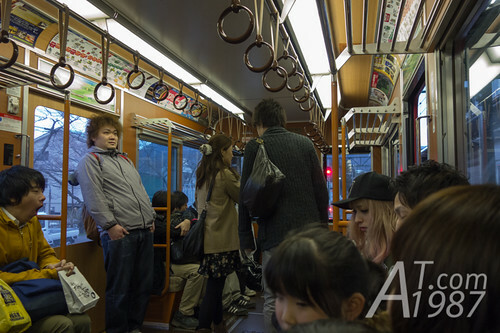 Inside the train is decorated to look like the old train. Everybody are tried from sightseeing. Next time let’s see how’s Ryokan hotel look like. Please look forward to it.